No church website would be complete without acknowledging the rich history of the church and explaining how the church has reached out to the very community in which it is based. We trust that as you read the next few paragraphs you will be informed, blessed and excited about the future God has for the church here in Harthill. The story of Harthill Pentecostal Church is best told by going as far back as 1922 when the Faith Mission held a gospel campaign in West Benhar in a building known as the tin hall. This tin hall still stands today, and can be seen next to the petrol station on Eastfield’s main street. At that campaign, a young man named George Drysdale gave his heart to the Lord and started on a journey that would see him Pastor the church in Harthill for over 50 years. Filled with the Holy Spirit a few men of the village including Mr William Hilditch, Mr Sam McGeachie and Mr George Drysdale met in the upper room of the Old Orange hall on Harthill Main street. Although no longer there, the hall would have been situated near where Brodies Rest Rooms are today. This was the beginning of Harthill Pentecostal Church. As the years progressed the church grew in numbers, and a new church building was erected on a piece of land at the bottom of the road that goes down the left hand side of the bank house – adjacent to The Royal Bank of Scotland branch. Around the time of the general strike (1926), Mr George Drysdale was appointed Pastor, with the church continuing to grow and develop. To get a sense of the atmosphere that prevailed in the church during this time, it is good to read the account by Donald Gee a prominent leader in the AOG movement of Great Britain. His account of spending a day in Harthill was published on May 31st 1957 in the Redemption Tidings magazine and a copy can be found here for you to read. 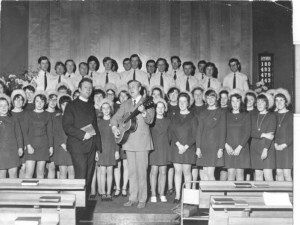 During the early 1960’s the church invited evangelist Alex Tee for a Gospel campaign in Harthill. Taking a step of faith that the church hall would not be big enough to hold the expected congregation the church booked what used to be the Lady Bailey Institute building. At that time, the building was owned by the Munn family and used for wedding receptions and events. When the building was put up for sale a short time later, the church leadership purchased the building, and in 1962 Harthill Pentecostal church moved into it’s current building. The Church continues to worship in the building that God graciously provided back in 1962; a building that provides great facilitates for all age groups and over the years has been the centre of many great times of blessing. The Sunday School that for many years had over 100 children meeting each Sunday. The Happy Hour or Sunshine Corner and The Bible Class, The Silver liners and Ladies group. The missionary work and support of the United Pentecostal Mission. The Harthill choir, well known up and down the country, singing in places like The Usher Hall Edinburgh, Glasgow, Manchester and Leeds. 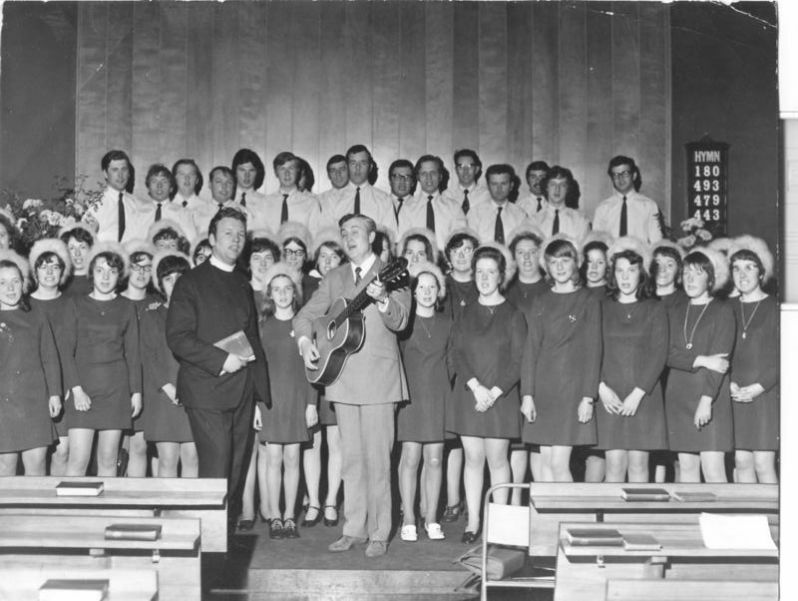 Here is a photo of the choir from the early 1970’s – do you recognise any faces? The Harthill New year conventions, filled day after day with people wanting to hear the word of God from the leading ministers of that time. The Alive & kicking club and youth groups. Harthill Pentecostal Community Church has been blessed by God over many years, and we know that in this short text it is not possible to mention everyone who committed there lives, time and gifts to Gods work or to recall all the activities of the church. But we do find ourselves remembering the verse of scripture at the start of this article. Jesus Christ is the same yesterday and today and forever (Hebrews 13:8) and the same Lord that lead the founders of this church back in the 1920’s is the same Lord leading and blessing the church in Harthill today. Please take the time to look at the activities and facilitates available to you today and it would be our privilege to have you join us as we worship and serve the Lord together.